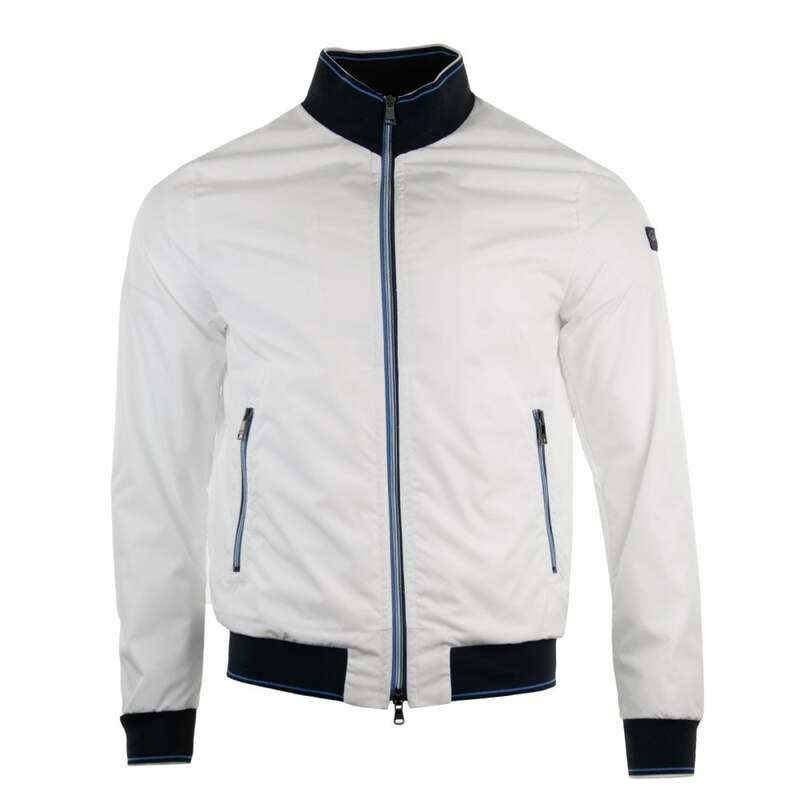 This Paul & Shark Bomber Jacket has a 100% polyester outer and is white in colour. It has ribbed collar, cuffs and hem, a full zip fastening and two zip pockets at the sides, all trimmed with blue stripe detail. The breathable mesh lining is 100% polyester. Paul & Shark branding appears on an embroidered patch on the left sleeve.